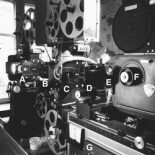 This piece was written for IS 260: Information Structures, taught by Professor Gregory Leazer as a requirement for the Moving Image Archive Studies Program at UCLA during the Fall of 2011. Professor Leazer’s course examined a variety of ways and models of information structures and how they were at play historically and currently in the information science world. Within this class, we looked into all manner of cataloging, descriptive work and the development of the information systems that currently inform our digital and analogue worlds. My interests became quite intent on the manner in which we, as humans, were able to interact with the machinations of each system and work together in order to create more interactive systems, such as folksomies and the usefulness of controlled or uncontrolled vocabularies in certain informational structures. This piece on the memex was the initial writing that inspired me to do so. While the hypertext of Vannevar Bush might be his 1945 Atlantic Monthly article, the unspoken associative indexing of this influential figure is made up of more well-known and used information bundles than one might initially think. Due to the fact that Bush thought on a larger conceptual level and not simply on a small, invention-based one, this allowed his ideas to span the decades and wind up where we are now: discussing his writings and their relationship to today’s information providing mechanisms. 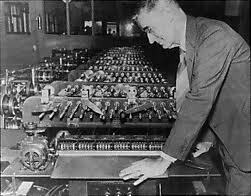 Indeed, the items that sprang from Vannevar Bush’s memex plans became more concrete and did turn into more permanent records, although that permanence is of the digital realm. The memex plans gave birth to things such as wikis, iTunes, or even facebook. The digital worlds that can call memex their godparent are vast and many, primarily due to Bush’s ideas of informational linking. The concept of being able to link one idea or topic to another mimics the human brain so ideally that it can (and did) sponsor an inordinate number of computer programs that only got more advanced as the digital world also advanced. While Bush himself simply talked about research and little screens and codes and writing notes that would tie one item to another, other people like Tim Berners-Lee (creator of the World Wide Web) and Ward Cunningham (inventor of the first wiki software) took that to the next stage and developed whole other technologies. Pure and simple, the World Wide Web would likely not exist were it not to have been for the ideas set forth by Vannevar Bush. It is no new concept that we connect ideas in our minds on a daily basis, but Bush’s associative indexing, his hypertexting (later given that title by Ted Nelson), was an idea that was so new and genuinely groundbreaking that it reached people in all areas of study. It hit folks in librarianship, it hit folks in science, and it hit folks in the medical world. This was an interesting possibility for the academic world that might assist people in ways that were based upon their own natural impulses. What a notion! Within this one sentence we are shown the breadth of his foreknowledge. It is not necessarily the specificity of the memex machine that he is discussing. He might have thought so, but, realistically, it was the process Vannevar Bush was discussing not the product. As the world progressed, and the World Wide Web appeared and the “wholly new forms of encyclopedia” began to appear, it was by associative indexing, not through the memex. The beauty of a Wikipedia entry is that you get all the information that you were searching for in a neatly organized fashion, just like you would in any encyclopedia. But youget a bonus: hypertext links within the entry and more at the very end of the article. Not only are you able to jump to other articles about the same subject, allowing you to pursue your research further on a completely separate site, but the internal links (the hypertext) within the article itself permit you to follow the Vannevar Bush memex way: build a thick trail of information that will either stay topic-consistent or lead you to start building an entirely new trail. The idea of a Wiki is like memex going to kindergarten: ideally, everyone learns to share, cooperate and to tell the truth in order to play on the same playground. Does this work out all the time? Not necessarily, but the intention is certainly there. Additionally, the fact that there are various voices there to either corroborate or deny the factuality of the content ends up becoming a method of certifying the entry. Wikis function based upon their hypertext-edness, but they also function based upon their capacity to be edited by a multiplicity of voices. Like Bush’s concept of the associated index, the Wiki also has broader reaches. It doesn’t begin and end at Wikipedia; a wiki is a database-type software that has properties that are not unlike some of the larger concepts that are mentioned within “As We May Think.” A wiki is designed to organize several kinds of information about a given item in one web location/site and strives to lend itself not only to the ideals of an associative indexing mind-set but also to the progressive ideology of multiple mind-sets weighing in and participating in the manner in which the website does the associating. Instead of that one person sitting at the memex machine, writing codes, making comments, trailblazing his informational way across the memex-verse, wikis present a space where multiple people can do that, even at the same time. It is critical here to note that it is Buckland’s decisive view of the individuated user that would prove to be most problematic for the memex. Had there been a multiplicity of users as there ended up being within the digital community just a few years later…it might have been a different story. While Buckland is also not infallible, his criticisms bring up strong points about needing to base trails (at least partially) on the documents themselves instead of the humans using them. As we can see, Vannevar Bush’s work has produced both the positive and the negative. Overall, however, the Google search function and the reason that we can type in three divergent terms that give us the result we were hoping for is due to it being part of the lineage that started with associative indexing. The reason that we can find a restaurant to go to on Yelp is due to the commenting properties that were alluded to by Bush. Vannevar Bush’s legacy is far-reaching. This entry was posted on October 5, 2011 by sinaphile in Access, Technology and tagged Academia, associative indexing, hypertext, memex, vannevar bush, wikipedia.